Embrace technology and send a text or email to the client when you have verified that the prescription is ready for pickup. The fax machine rings and begins to print. Is it vital bloodwork results from the outside laboratory? Patient medical records from the university referral? A $499 round-trip, all-inclusive vacation offer to the Bahamas? (Does anyone fall for this scam?) No, no, no. It’s a prescription request from one of our good friends at the online pharmacy. Hey, they just want to help. It’s not like they’re taking business from us. Or are they? Of course they are. This has been going on for over a decade. The funny part is, I see veterinarians get as mad and upset about internet prescriptions today as they did 10 years ago. Words and phrases were and are said about these businesses that our mamas would never have approved of. I often ask, “Why the contention?” After all, this is America. Remember supply and demand? Free enterprise? Differentiate? Stay connected? All the business phrases we learned in Econ 101? 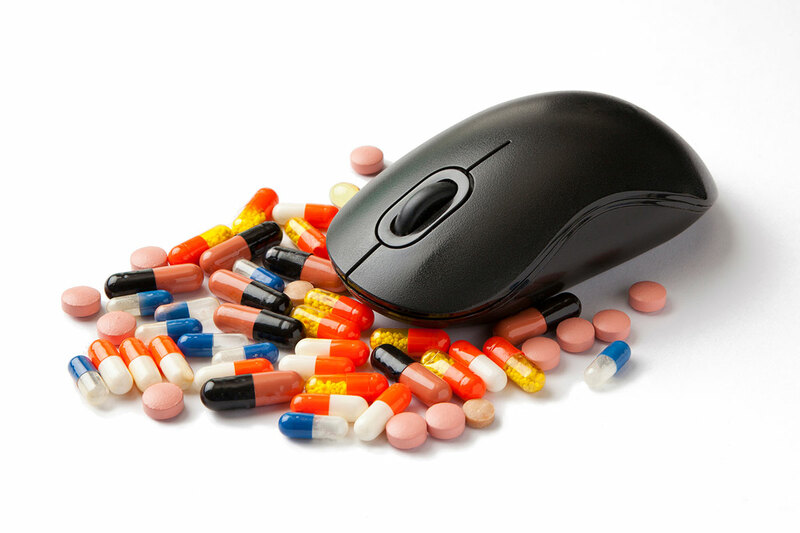 Internet pharmacies are doing nothing different than what we do every day. That is, try to be successful in business. Do we like the competition? Probably not. From the box store down the street to the online retailer offering free overnight shipping, we have competing entities going after our clients’ business. So, what tactic should we take to combat this unwanted competition? Ignore the script requests and hope the client gives up? Charge the client to sign the script? Require the client to bring in the pet for a paid exam before we sign? Or do we just refuse? Now there’s an idea! Yes, these are real tactics taken by veterinary hospitals over the years. But where do these tactics leave us? With dissatisfied or upset clients. I get it. I understand your frustration. But rather than make it harder on the client, let’s make it easier and more appealing for pet owners to make their pharmaceutical purchases in our hospitals. Rather than fight what we cannot control, let’s take the time and energy to freshen up our offerings. First, begin by touching up your staff training. Whether you have a new hire on the team or an old pro, their ability to demonstrate that they know what you are talking about is extremely important. Clients don’t want to see hesitation or hear, “I’m not sure.” This certainly doesn’t mean that your staff members need to lie or guess. Get them educated and feeling comfortable about the prescription items they will discuss. It’s unrealistic to think that your staff is going to know every answer every time. When they don’t know, they can still confidently act as an advocate for the client and say: “That is an excellent question. Let me discuss this with the doctor and get right back to you. Are there any additional questions or concerns I should raise when I speak with the doctor?” The client will appreciate and remember the effort. Chances are that if a team member doesn’t know the answer, then another employee needs the same education. Keep a list of such questions and provide answers for everyone at the next staff meeting. Take the time to educate your staff and the effort will translate into confident conversations with clients and success in keeping pharmacy sales where they belong. The fact is that clients have more options than ever for getting their pets’ medications filled and dispensed. Our doctors and staff are responsible for making sure that drug sales stay in the practice and that the client continues to return. This is done by instilling confidence in the client, making sure the refill process is accurate and efficient, and adding personal touches that the box stores can’t touch. Start with enthusiasm. I know that Monday mornings come early for most of us, but showing the client that you are excited about taking care of the pet will go a long way. Anticipate the client’s needs and realize that the majority of us are going to wait until the last minute for a prescription. We live in a world of “right now,” so make it happen. Embrace technology and send a text or email to the client when you have verified that the prescription is ready for pickup. Then get proactive. Create a reminder to check on the pet in a couple of days, and then schedule refill reminders. With a new outlook on prescription refills, we can start to fend off the other choices. 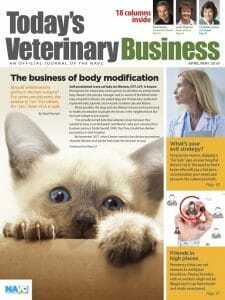 The veterinary industry continues to see amazing advancements in pharmaceuticals designed to prevent disease in pets and protect, lengthen and maintain their lives, which in turn will bring happiness to our clients. As products become stronger, faster and safer, we face the daunting task of keeping clients educated and informed. They arrive at our office to get the same drug from the last visit and — surprise! — we don’t carry it anymore. This can leave them feeling uneasy and unsure about whether they want to try something new. After all, the old product worked for their pet and they are familiar with it. The first encouraging words to the clients should be to tell them about the time and energy that the clinic spends in evaluating and testing products. This response displays confidence in your choices. Enthusiastically explain why the clinic switched, talk about the benefits of the new product and discuss some of the results you are seeing with other pets. Even better, if your pet uses the drug, bring up your personal experiences. Also, mention any product promotions and guarantees. You will instill trust in a client who hears that you stand behind your products. Finally, brag about the new choices on your social media. Thinking our clients won’t buy pharmacy products elsewhere is unrealistic. But you can support your pharmacy by maintaining a confidently trained staff, understanding your clients’ time-sensitive needs, embracing technology and educating pet owners about all your new offerings. In addition, we should always monitor the margins on the inventory we carry and ensure that we stay competitive. Rebates and product rewards can bring additional client value. No. 3 client had spent nearly $36,000. Ironically, all her product sales were done online or elsewhere. Imagine if anger and frustration had boiled over and we had refused to approve the client’s internet script. The thought of losing the beloved client is unfathomable, especially because I had allowed box stores and online retailers to become more attractive and progressive with their offerings.